If you have been using BitlBee, Pidgin (or anything using its library, libpurple), Trillian or some other third-party instant messaging client that supports the msn protocol, you may have noticed over the past few hours that either your contact list is no longer accessible or you cannot sign in. In Pidgin, you’ll see it attempt to log in but get stuck at “Available – Connecting…”. 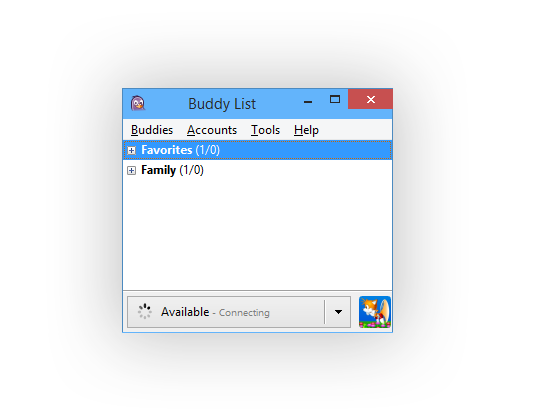 In Trillian, your contact list will just not appear. The problem seems to stem from a change on Microsoft’s end about which application IDs are allowed to retrieve contact lists. The ID used in the above clients is the applicationId (CFE80F9D-180F-4399-82AB-413F33A1FA11) from Windows Live Messenger 2008 (8.5). When the client attempts to get the contact list, the server will reply with: Invalid Application Header Application ID is either not defined in database or blocked from access. The 2012 application ID key still works as do clients revived using Messenger Reviver. If you’re wanting to re-compile any of these applications with source code, just edit the code to change the above ID to the 2012 one, 484AAC02-7F59-41B7-9601-772045DCC569. Additionally, if you’re familiar with running python, you can use this python script to automatically patch your client (thanks dx for creating this). For Pidgin users, you might consider using the msn-pecan protocol plugin, then setting up a new account as the WLM protocol in Pidgin. This has several benefits, including avoiding the issue mentioned below. 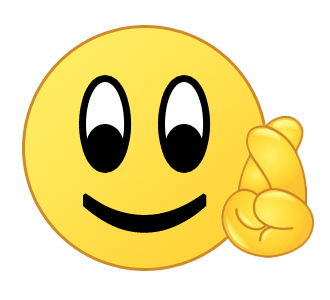 UPDATE: Both BitlBee and Pidgin have both updated their source code trees, and Trillian has a new beta release. On some accounts, you will no longer show online to your contacts after changing the application ID. This issue is being investigated, but does not affect the Microsoft Messenger clients revived using Messenger Reviver. On Pidgin you can also use the msn-pecan protocol plugin to bypass the problem. Meanwhile, despite “the end” of Messenger supposedly 12 days ago, the Messenger Service continues to hum along. Since Monday of this week the Messenger service has been experiencing outages with signing in. If you’re using Windows Live Messenger after using Reviver and you encounter this problem, you’ll see error 800488fe during the sign in process. Third-party clients like Pidgin (libpurple), bitlbee and others have also been experiencing these problems and will have similar cryptic error messages. I have seen a number of people attempt to explain the outage with explanations of the problem only affecting custom domains, age of account, or your current location but none of these have proven to be consistent and seem to be inaccurate. Although the error is a server issue, some people have reported that their account started working again after signing in and out of Outlook.com (Hotmail), so that may be worth trying. However in all accounts that I personally have been affected with, I simply waited for a while and trying again later has worked every single time. Hopefully these server issues will be resolved soon. Despite Microsoft’s constant urging over the past few months that Messenger would not be accessible after April 8th, the desktop clients continue to work one week later. Of course the honest truth is that Microsoft has indicated that the “retirement” would begin April 8th for “English-speaking countries” and should finish by April 30th with Brazilian Portuguese users being last. So, let’s put this information to the test to see how they’re doing. As I’ve been supporting Messenger for 12 years, somewhere down the line I started creating accounts with the various locales so I could understand the different country-specific features I was being asked about. Therefore I already have most of the accounts already created and luckily been in existence for a quite a few years. Additionally, (thanks to some friends) I also have the opportunity to test my accounts from several of the different countries so they can be tested from a local IP. For the purposes of this experiment, I will use Windows Live Messenger 2012 (16.4.3505.0912) on Windows 7 SP1 64-bit. UPDATE (April 23, 2013): Microsoft suddenly blocked all the accounts at once. I guess they didn’t bother with their announced rolled out server changes. To bypass the block and continue to use Messenger, use my Messenger Reviver 2 tool. UPDATE (April 24, 2013): Spoke too soon, apparently some accounts are still active, just not any of mine. However, they’re all around the world and not limited to a specific country. This is the typical way they’ve done forced updates by not doing all servers at once. Based on this test data and that none of my contacts elsewhere in the world (in countries not tested above) have experienced a block, I conclude that Microsoft has not even begun the process. Considering the original date of this “retirement” was March 14th, it seems that the date is being delayed even further. Please come over to the live chat, leave a comment here, or contact me personally. A friend of mine discovered the following on Friday. It sure seems there’s plenty of Messenger love around! One of the many things I’ve wanted to do for a long time is have a related live chat for this blog, and now I do. You can get there by following the Live Chat link, located on the top of every page. The chat is hosted on the tawx IRC network (irc.tawx.net), channel #messenger, so you can also use your own IRC client. No sign up or registration is required, just fill in an optional nickname and choose the Connect button. If you’re looking for me, you’ll see my nickname TReKiE denoted by a icon. As you probably have received via e-mail prior to reading this, Microsoft has finally decided on the date its shutting down Messenger – March 15, 2013. UPDATE: Actually they’ve decided it’ll be April 8th now to start, completing by April 30th. Besides including the date, the verbiage of the e-mail has changed slightly from earlier announcements as it now distinctly says the “Messenger service globally”, although again excludes mainland China. However, the small FAQ at the end of the mail distinctly says “Messenger users on desktops” and that mobile Messenger versions will continue to work for “a while”. So although we now know the date, the exact details are still a mystery. We recently announced that we’ll begin to encourage Messenger users to start using Skype. As a result, the Messenger developer program will end. Existing implementations that use Extensible Messaging and Presence Protocol (XMPP) will continue to work until October 2013. Existing implementations that use MSP will continue to work until March 2014. For support for existing XMPP implementations, please visit our Forums page. What’s probably most important here is that existing Messenger software (Pidgin, Adium, Bitlbee, et al) will continue to work until March 2014. With that known, it certainly should be possible to modify the desktop clients to work until that date.